Arthur Imaging Compatible Ink Cartridge Replacement for 250XL 251XL is guaranteed to perform with your inkjet printer. 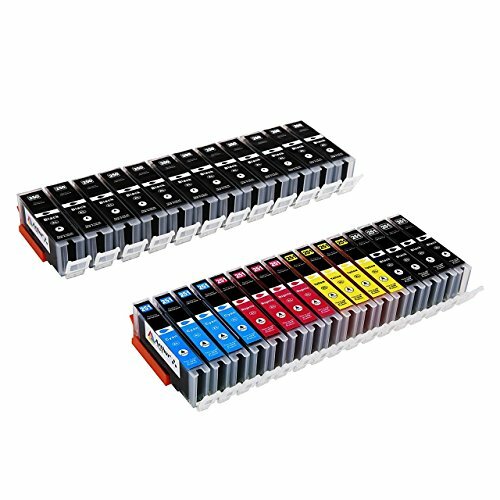 It replaces the original 250XL 251XL ink cartridge, and can be used in the following printers: - iP7220, iP8720 - iX6820 - MG5420, MG5422, MG5520, MG5522, MG5620, MG6320, MG6420, MG6620, MG7120, MG7520 - MX722, MX922 This is not a remanufactured cartridge and it was not manufactured by Canon. 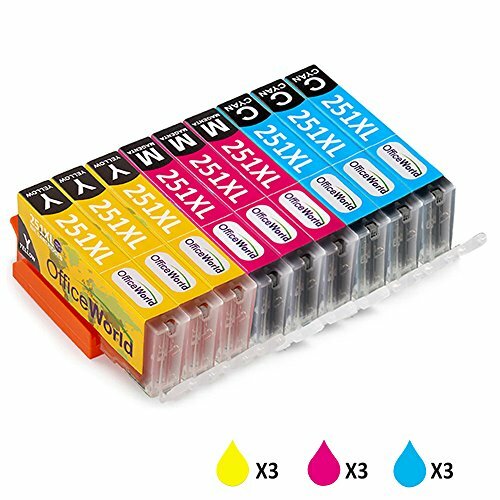 Our compatible replacement 250XL 251XL ink cartridge is specially engineered to meet the highest standards of quality and reliability. Our 250XL 251XL ink page yield meets or exceeds OEM (Original Equipment Manufacturer) page yield for the 250XL 251XL and offers high-quality printing results. The use of Arthur Imaging compatible replacement ink cartridges and supplies does not void your printer's warranty. We offer a 100% Quality Satisfaction Guarantee on our Arthur Imaging compatible 250XL 251XL ink cartridges and supplies. 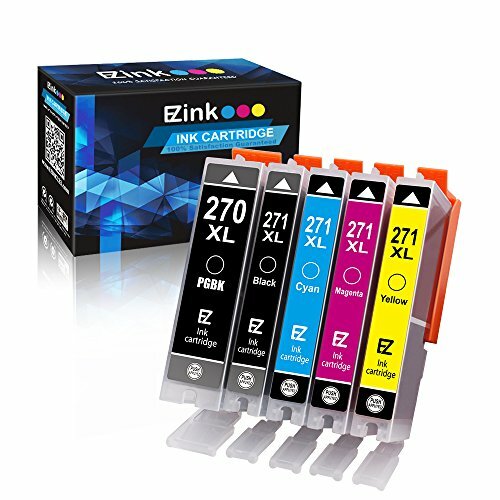 Specifications Product Name: E-Z Ink PGI-250XL CLI-251XL Compatible Ink Cartridge. Ink Type: Pigment Based ink for black cartridge. Dye Based ink for color cartridge. Page Yield: Black is 500 pages per cartridge. Color is 300 pages per cartridge. Works With -PIXMA IP7220 -PIXMA IP8720 -PIXMA iX6820 -PIXMA MG5420 -PIXMA MG5422 -PIXMA MG5520 -PIXMA MG5522 -PIXMA MG5620 -PIXMA MG6320 -PIXMA MG6420 -PIXMA MG6620 -PIXMA MG7120 -PIXMA MG7520 -PIXMA MX722 -PIXMA MX922 -PIXMA MX920 -PIXMA MG5500 -PIXMA MG5622 Works with ALL printers that use 250 251 ink cartridge. 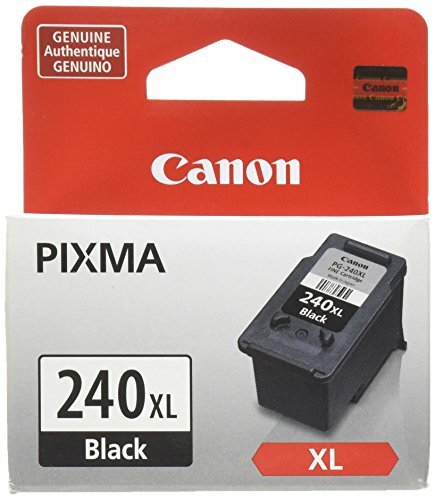 Cartridge Code: CLI251(Not include Gray) Compatibility:Canon PIXMA MX922,Canon PIXMA MG7520,Canon PIXMA MG5520,Canon PIXMA MG5420,Canon PIXMA MG7120,Canon PIXMA MG6320,Canon PIXMA MG6620,Canon PIXMA MG5620,Canon PIXMA IP7220,Canon PIXMA IX6820,Canon PIXMA IP8720,Canon PIXMA MG6420,Canon PIXMA MX722,Canon PIXMA MG5422,Canon PIXMA MG5522.Page Yield: Black is 500 pages per cartridge. Color is 300 pages per cartridge,Print with Excellent Color and Crisp Text. Note: 1.Please confirm your printer model. 2.Please remove the orange cap,NO need to remove other tabs. 3.Please avoid touching the chips.Customer Service: We offer the most sincere service with 12 months money back guarantee.Any issues please feel free to contact us. Choose one from the following two: 1.Please log in your Amazon Buyer Account > Click Your Account > Your Orders > Find your order and click 'Contact Seller'. 2.Go to the product listing and click the seller's name 'ifreeMall' under the sale price, Click the Ask a question button. Print your OfficeWorld,we are always here for you. Save even more with our 2 pack compatible Canon inkjet cartridges. 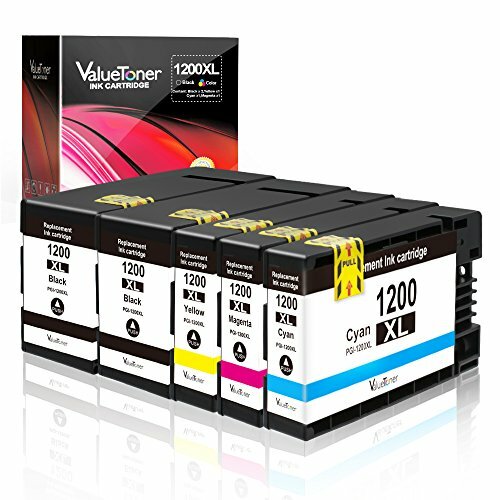 This bulk set includes 2 PGI-225 Black inkjet cartridges. 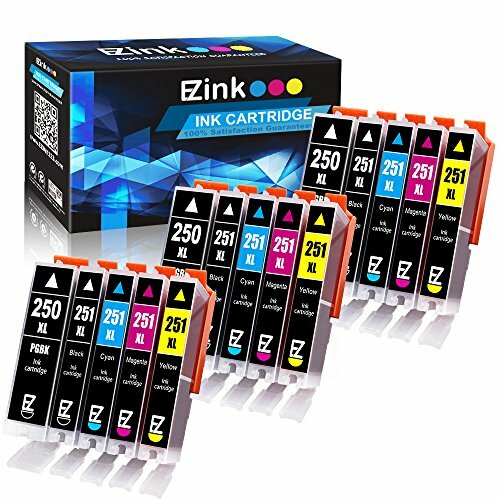 Why pay twice as much for brand name OEM Canon printer inkjet cartridges when our compatible printer supplies deliver excellent quality results for a fraction of the price? These units are 100% brand new and are manufactured to meet the highest quality and performance standards. Our ink cartridges contain a brand new chip which allows you to track your printer ink levels. Benefit from tracking ink levels with our compatible cartridges with a new chip that shows correct ink levels. 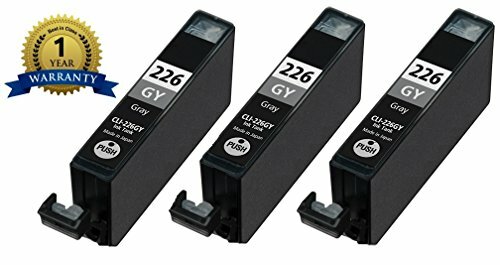 Our compatible brand replacement laser cartridges for your Canon printer are backed by a full 2 year 100% satisfaction guarantee. So stock up now and save even more! This combo set works with the following Canon printers: iP4820, iP4920, iX6520, MG5120, MG5220, MG5320, MG6120, MG6220, MG8120, MG8120B, MG8220, MX712, MX882, and MX892 . 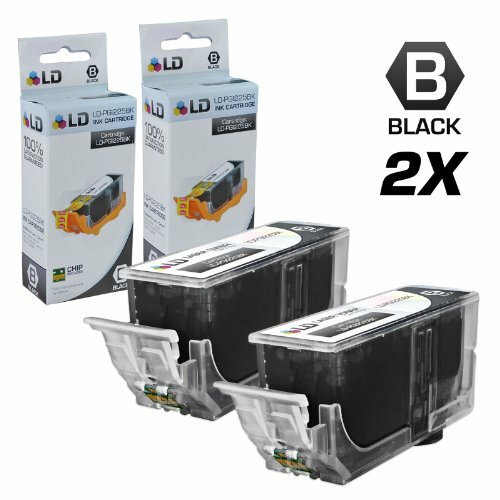 We are the exclusive reseller of LD Products brand of high quality printing supplies on Amazon.com. Specifications Product Name: E-Z Ink PGI-270XL CLI-271XL Compatible Ink Cartridge.Ink Type: Pigment Based ink for black cartridge. Dye Based ink for color cartridge.Page Yield: Black is 500 pages per cartridge. 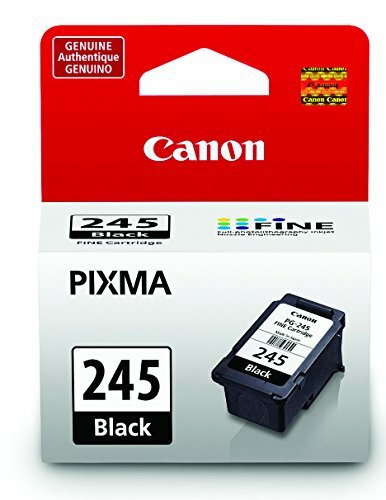 Color is 300 pages per cartridge.Works With Canon Pixma MG5720, Pixma MG5721, Pixma MG5722, Pixma MG6820, Pixma MG6821, Pixma MG6822, Pixma MG7720, Pixma TS5020, Pixma TS6020, Pixma TS8020, Pixma TS9020 Printer. Works with ALL printers that use 270 271 ink cartridge. Looking for more Canon Compatible Inkjet Cartridge similar ideas? Try to explore these searches: Eco Friendly Blinds, Blue Pump Heel, and Black Mesh Trim.